This video covers our simple 5-step process for setting effective video goals. The starting point of any video project — whether it’s a big campaign or a single video — is deciding what you want to get out of it. This seems obvious and simple, but it can be harder than it sounds. You need goals that are realistic and achievable, but also push you to get the best results possible. Your goals will also have a major impact on how your video content is produced, so ensuring they're clear and precise is really important. 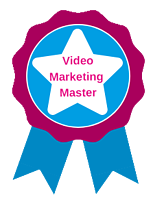 I’m going to guide you through our 5 simple steps to setting effective video goals. We’ll also link to our video objectives template, an outline covering the same simple steps we’ll go over here. You might find it useful to fill in as we go along — so feel free to click this link to download it now. I'll just wait here while you do that. What is your business good at and what are you not so good at? Where do you sit in your market? These questions might seem like overkill, but it’s helpful groundwork to check you’re not making assumptions about how video can help you. So get back to the basics. Who’s your audience? How do you currently speak to them and how could this be better? Here’s an example. Say you’re a B2B data firm. You work with CIOs and IT managers from banks and retailers. You draw in a clients with brand awareness and thought leadership content like whitepapers and blog posts. Your competitors are newer but they’re stealing market share from you. They’re more agile and they’ve jumped on digital marketing more effectively than you. You want to position your brand as professional and experienced without being too corporate and impersonal. You don’t need to go into too much detail, but having an overview of the basics will help you narrow down why you want video in the first place. Step two is about honing in on a specific problem or issue in your business that video could help you solve. Your situation analysis should give you guidance here. Like any other kind of content, video is not a silver bullet. It’s not going to solve all your problems overnight and you shouldn’t expect it to. But if well-planned, it can be a very effective way of creating reusable content to support multiple areas of your marketing. Back to our example. Say you have a set of landing pages that encourage CIOs to download your whitepapers. But here’s your problem. Your conversion rates are pretty low, say 5%. You want to improve those conversion rates to generate more leads. This is something video is well suited to help you achieve. Always remember that video is a form of communication. The content contained in it can be anything you want it to be. You should always start with the content you want to get across, rather than the medium you want to put it in. Let the content inform whether it should be communicated through video. Don’t try to jam your message into a video-shaped box if it doesn’t want to fit. This might sound like we’re trying to talk you out of video content! We're not — but it’s important to think this through, otherwise there's a danger you’ll end up creating videos that just don’t work. And that’s why starting with what you want to achieve is so important. Now you know what problem you want to solve and you’ve started assessing whether video is the right medium to get you there. Next we need to make sure the problem we’ve pinned down is really a worthwhile goal. So we step back for a moment. We’re doublechecking that our objective is relevant to our marketing goals and that this video content is going to contribute to our bigger aims. In the data firm example, your long-term marketing goals might be to improve lead generation by 10%. Improving the conversion rate of your landing pages will definitely help achieve that goal, so you know this video project is going to move your business in the right direction. Like any good objectives, these need to be SMART (specific, measurable, attainable, relevant, time-based). Here’s an easy way to work out what your objective should be. Take the problem you identified in step two and flip it so you’ve got the solution — that’s your objective. Here’s an example. The problem the data firm identified was a poorly-converting set of landing pages. So in this case your video objective would be to improve the conversion rate of those landing pages. As a SMART objective, that would be: to improve the conversion rate of your six whitepaper landing pages by at least 80% within 3 months. When it comes to numbers of objectives, don’t get too carried away and introduce too many. The more objectives you have, the less focused and effective your video project will be. The more specific you are about what you want your video content to do, the better you’re going to hit that target. Generally we recommend a maximum of 3 objectives for each video project. Finally, the last step is setting out how you’ll measure your success. You should list specifically what you’ll track to know if you’ve achieved your objectives. In the case of our landing page example you’d measure the conversion rate of those six landing pages to know whether it had improved by 80% in 3 months. The more specific you can be here, the better. So if your current conversion rate is 5%, you'll know you’ve reached your goal once you hit a conversion rate of 9%. However, to understand how the video content contributed to this KPI you should also consider measuring metrics such as video loads, video plays, average engagement and video CTA clicks. Setting out your KPIs like this lets you know what you need to keep an eye on. It also allows you to prepare if you don’t currently have access to metrics like video engagement or CTA click. For a quick overview of the most important video metrics and what they mean, check out this link. So that’s it — now you’ve properly considered and shaped your SMART video objectives. You should feel comfortable that they’re achievable but also push you hard towards the things that matter.